← Wood Biffalo National Park Pine Lake, Alberta. Lisbon, Portugal. November 25, 2003. 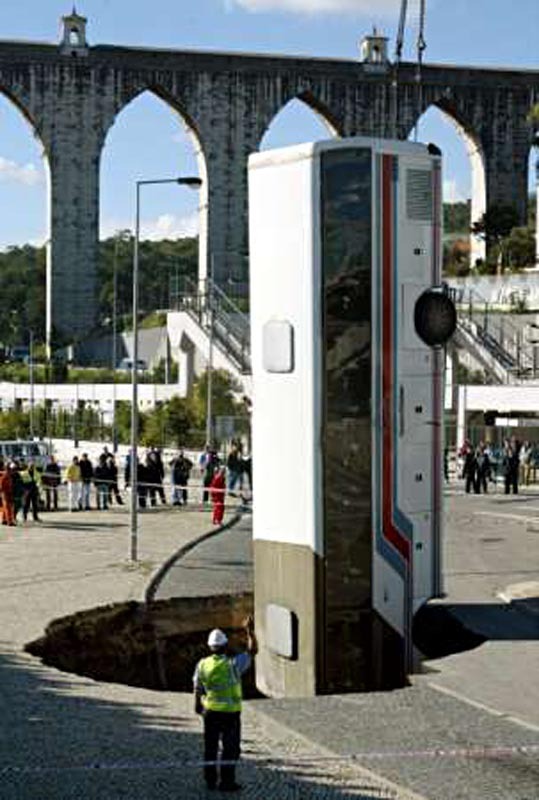 A bus driver in Portugal had a lucky escape after plunging into a sinkhole in Lisbon, Portugal, on November 25, 2003. 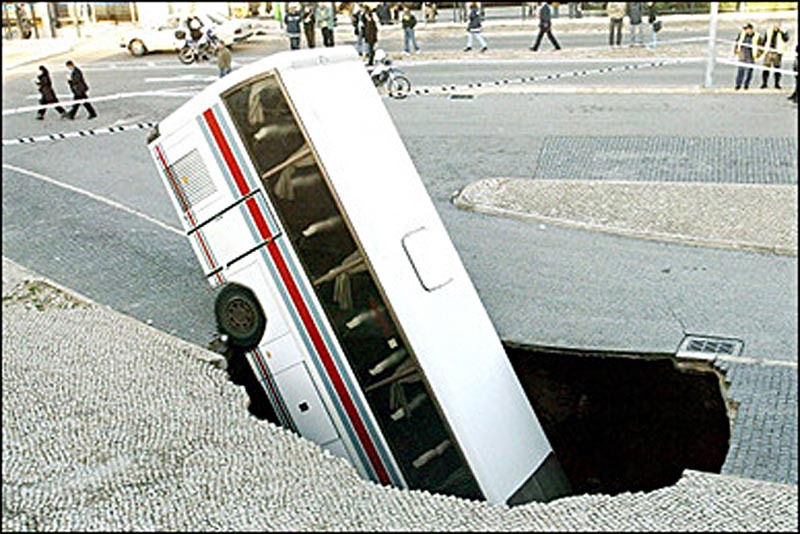 The driver could do little to avoid the gaping chasm when the street in front of the bus suddenly opened up. The bus was pulling into the central terminal in Lisbon when it happened. The 30-foot deep hole is believed to have been caused by torrential rain. Fortunately, the driver was alone in the bus and escaped with only minor injuries. A crane was later brought in to lift the bus free. 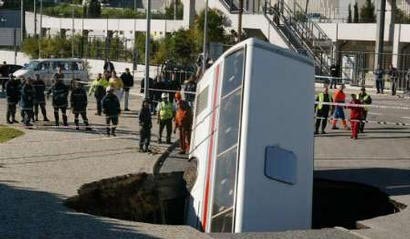 This entry was posted in Pictures, Vehicle v Sinkhole and tagged bus, huge sinkhole, Lisbon, Portugal, sinkhole. Bookmark the permalink.